Professor Datin Dr. Junaidah Hashim started her career as lecturer at Department of Business, Kuliyyah of Economics & Management Sciences in 1998. She started her career in IIUM as Assistant Professor. She taught General Management courses, Organisational Behaviour, Human Resource Management and Compensation. Later she introduced a new course, Training Management, which was not taught at the school yet at that time. In 2004, she was promoted to an Associate Professor, and later in 2010 she obtained her Professorship. Professor Datin Dr. Junaidah, gained practical experience by working 1 ... show more 2 years in Malaysian private sector. After joining the academic institution, she continued to serve private companies and public organisations by providing training and conducting applied research. 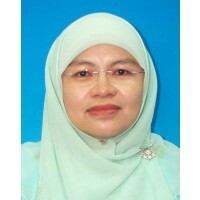 She is an expert known in the field of human resource in Malaysia. She was awarded a project for Train & Place Program by the Ministry of Human Resources, Malaysia. She has been appointed as consultant by the Human Resource Development Council, Malaysia. She has completed several research projects for Human Resource Development Council, Malaysia. Through many years working in International Islamic University Malaysia, she has developed a new research interest on Islamic Human Resource Management. She was among the pioneer authors published her work on Islamic HRM. She authored four books on the subjects and more than 50 research articles in national and international journals. Her articles have been published in highly reputable journals such as Personnel Review, Journal of European Industrial Training, Journal of Workplace Learning, Gender in Management, and International Journal of Training and Development. She is at the editorial board of Employee Relation: The International Journal. Professor Datin Dr. Junaidah has won several awards. In 2001, she has won Excellent Teacher award at the university level. She won first place best paper award at Islamic management conference in 2007. In 2008, she won another award, Quality Research Award (Faculty level), and in 2014, she received the award for highest citation in Indexed Journal Social Sciences at International Islamic University Malaysia. 2007 - 2009 An Investigation of Self-Directed Learning among Muslim Managers. 15 August 2007 Best Paper Award:	Best paper award (First place) a? ?Religion as a determinant in self-directed learning at workplacea?? . International Conference on Management from Islamic Perspectives - International level. 16 March 2002 Excellent Teacher Award. International Islamic University Malaysia - Kulliyyah level. 2016 Constructing and validating measures of Islamic human resource management practices. In: "28th International Business Information Management Association Conference - Vision 2020: Innovation Management, Development Sustainability, and Competitive Economic Growth"